Table 1 shows that the parish contains 18 collieries, in which 3124 persons are employed. Table II shows that the total number of houses in the parish is 3604, while the number occupied by miners is 2222 - that is 61.65% of the total. Of these houses, 491 have been provided by the mine owners, 1432 are rented by miners, and 299 are owned by miners. 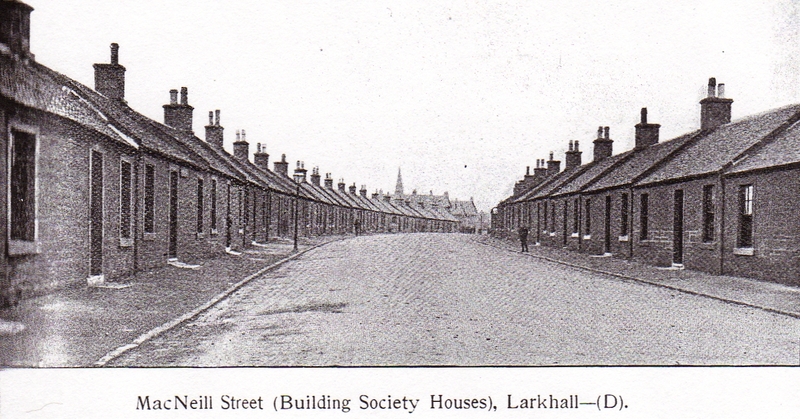 The parish has by far the largest number of houses owned by miners, and they are almost all situated in the town of Larkhall. 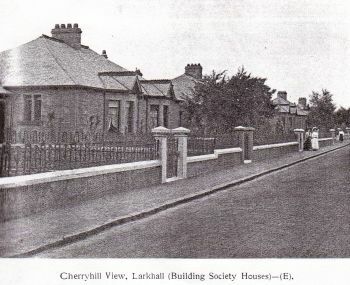 The statistics given in Table II, prepared from the Valuation Roll, only show a portion of the houses owned by miners, as these houses have been erected mainly by Building Societies, who are entered in the roll as owners until the society is liquidated. 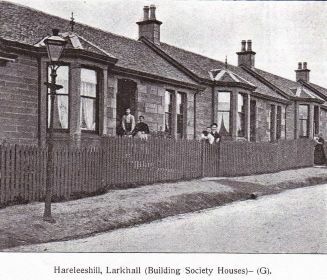 In the County portion of this report the constitution of Building societies in Larkhall and their method of working is described, while here will be found details of the homes. 80 houses - 4 one-apartment houses, 70 two-apartment houses, and 6 three-apartment houses. 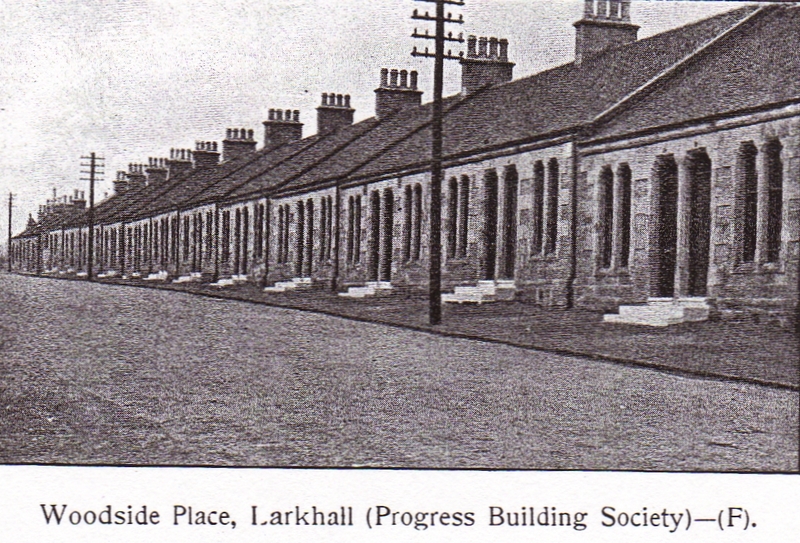 Of these 80 houses, 51 are owned by miners, and 29 by other workmen. Single storey, stone built in continuous rows forming the streets named. Each house has a through passage giving access to the garden. Nearly all have inside sinks with gravitation water supply. 80 houses - 12 one-apartment houses, 63 two-apartment houses, and 5 three-apartment houses. Of these 80 houses, 33 are owned by miners and 47 by other workmen. 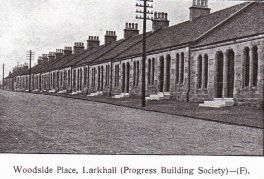 Single storey, stone built in continuous rows forming the street named. Each has a through passage giving access to the garden. The majority have inside slop sinks with gravitation water supply. 59 houses - 6 one-apartment houses, 50 two-apartment houses, and 3 three-apartment houses. Of these 59 houses, 51 are owned by miners and 8 by other workmen. Single storey, stone built in continuous rows forming the streets named. Each has a through passage giving access to the gardens. A few have baths, and most of the houses have inside sinks with gravitation water supply. 27 two-apartment houses, and 1 three-apartment house. Of these, 27 are owned by miners and 1 by another workmen. Single storey, stone built. A few have baths - all have inside slop sinks with gravitation water supply. 20 two-apartment houses- 18 owned by miners and 2 by other workmen. Single storey, stone built. A few have baths - most have inside slop sinks with gravitation water supply. 16 four-apartment houses -11 are owned by miners and 5 by other workmen. Single storey, stone built. All have baths, and inside slop sinks with gravitation water supply. 24 four-apartment houses -2 are owned by miners and 22 by other workmen. 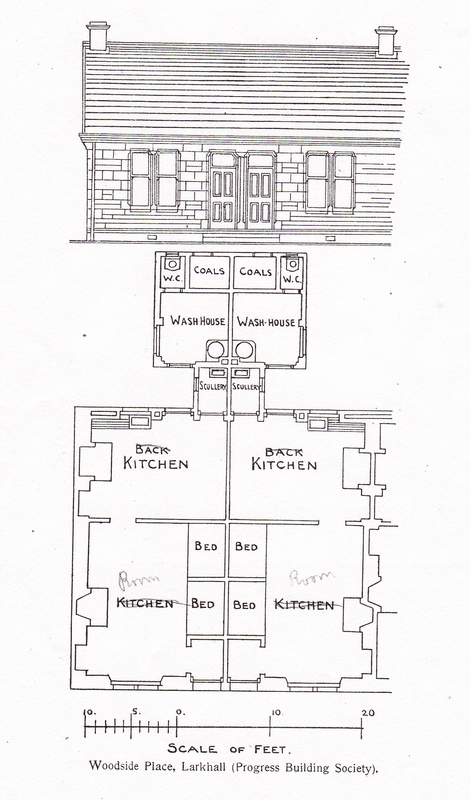 12 of these are semi-detached cottages, and the other 12 single storey, built in a row - all of stone. 18 two-apartment houses -16 are owned by miners and 2 by other workmen. Single storey, stone built. All have slop sinks inside, with gravitation water supply. 15 of the houses have wash-houses, and the remaining 3 have washing boilers fixed up outside the houses. 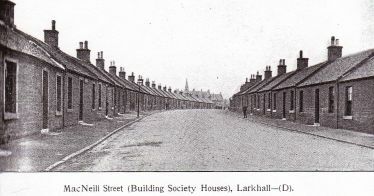 In addition to the foregoing there are in Larkhall, some 300 houses which have been built by workmen's building societies. 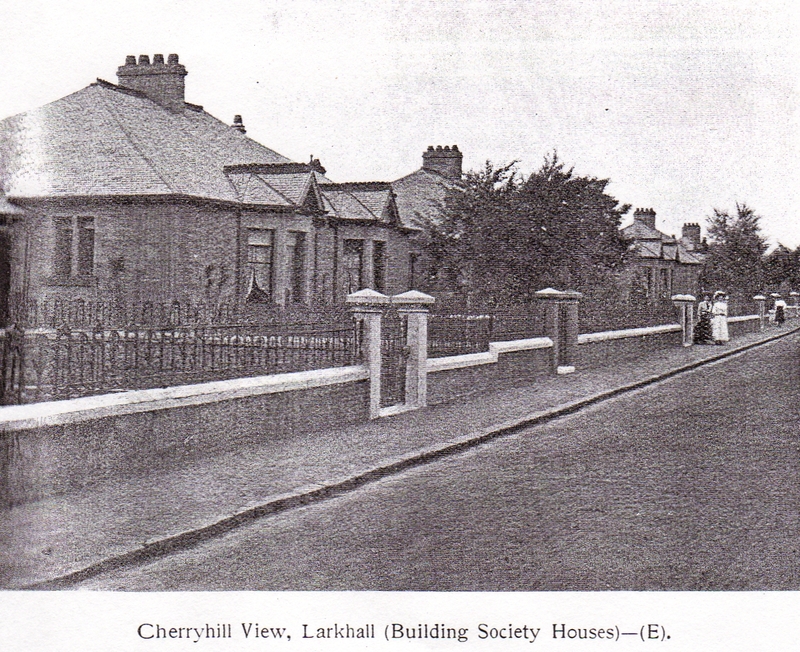 Many of these societies have successfully completed their building schemes some years ago. 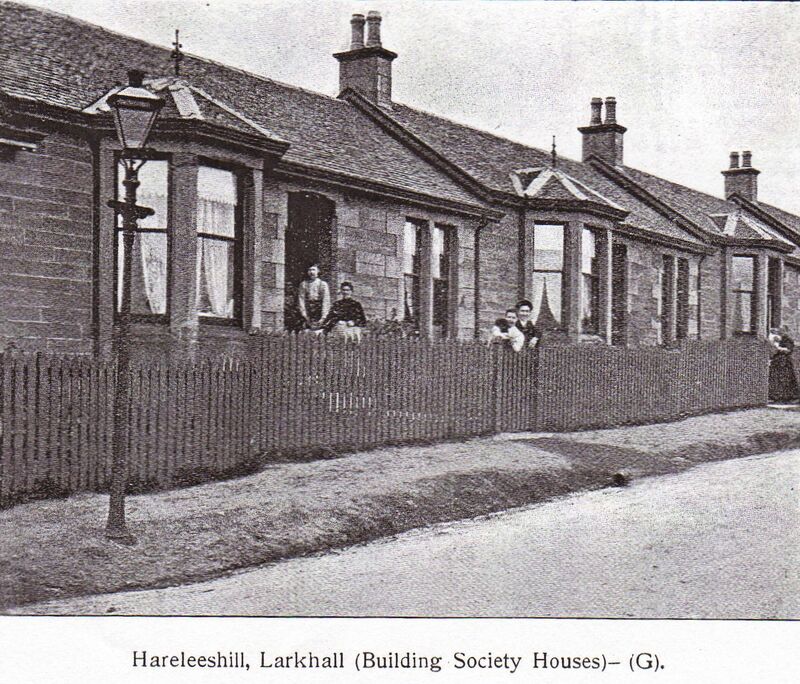 There are no houses in Larkhall especially built by mine owners, except one lot known as Meadowhill Rows. These were erected about 1870 by Hamilton, M'Culloch & Co., but have since passed into private ownership. 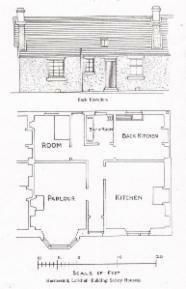 Action has been taken with regard to dampness of walls caused by ground abutting on same, also as to insufficient privy accommodation. Action has been taken with regard to insufficient privy accommodation, but nothing has as yet been done. One resides in a mine owners' houses at Hill Terrace. 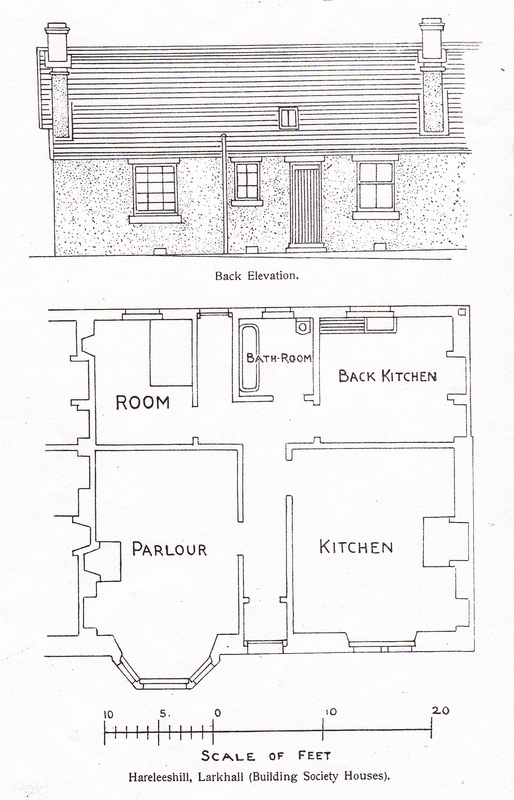 Representatives of company were met recently regarding remodelling of privies, and allocating same to tenants. The work has since been carried out. Action was taken re the damp condition of the back walls of twelve houses, soil abutting on same to the height of some feet. This was remedied. Action was also taken with regard to want of sufficient privy accommodation, and the erection of wash-houses and coal cellars. Privies are being erected.